The upcoming Earth Day, on April 22, is serving as the guiding principal for a new program by Bettoja Hotels Collection of Italy. Bettoja has announced the removal of all plastic bottles from its hotel properties starting on Earth Day 2019. 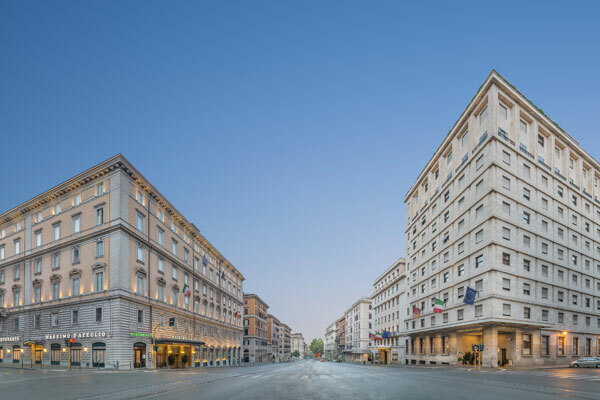 The plastic bottles will be eliminated in the mini-bars and the restaurants located in their three hotels in Rome, including the Hotel Mediterraneo, Hotel Massimo d’Azeglio and Hotel Atlantico. “We are taking action on Earth Day this year and we hope to achieve a new sustainability goal every year,” said Maurizio Bettoja, president of Bettoja Hotels Collection. Earth Day Network has chosen End Plastic Pollution as the theme for Earth Day. This includes creating support for a global effort to eliminate primarily single-use plastics, plus global regulations for the disposal of plastics. EDN has spread the word about environmental problems caused by plastics, based on a growing body of evidence. The Bettoja family is in the midst of financing comprehensive renovations at its three hotels properties, covering all 495 rooms. The work started in the summer of 2018 and will continue over the next several years.